‘You should have worn a different dress’ exclaims Chris Marshall (Ralph Fiennes) when he sees maid Marisa Ventura (Jennifer Lopez) in an excellent Cinderella moment. Luckily for us, she didn’t as it’s absolutely stunning, perfect for Lopez’s skin tone and hourglass shape. Another Cinderella moment. Eliza Doolittle’s dream of being a lay-dee is unquestionably achieved and though Higgins is very casual, underneath the bluff exterior is wonder. Audrey Hepburn is blessed in having worn so many nice dresses- her dress in Sabrina, the little black dress in Breakfast at Tiffany’s, but for dramatic power, I’ve picked this one. Maybe not your average workwear but then this is not your average job. Forget fantasy S and M, this is fantasy consumerism. Ana has an array of lovely dresses but this purple number she wears to her business meeting inspires a bit of glamour in your workwear, even if the contracts you’re drawing up aren’t the terms and conditions of your sadomasochistic relationship. Here's my review of the film. This dress weighed about two stone thanks to all the hoops, petticoats and vast amount of material. How anyone could dance it that I have no idea - she flies around the ballroom in a regal manner but with the slightest hint of simmering passion underneath. This is a bit of a cheat as I haven’t actually seen this film but this iconic dress is just too sensational to miss off the list. Unfortunately you need a sensational body to be able to carry this off but one can always dream. I love the innocence of this dress- and of course the moment where she steps from sepia into technicolour brings the dress to life. 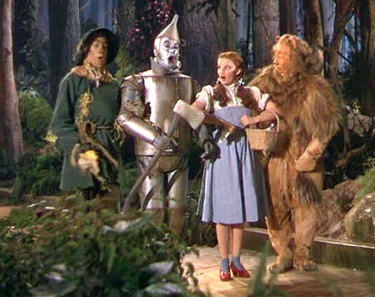 Gingham has never looked so fashionable- well, fashionable at all- as on Dorothy. The pure innocence of the white coupled with the most seductive of cuts- the sweetheart neckline- is a dazzling combination. No wonder she was able to distract the villain so easily. Luckily for her, Keira Knightley didn’t have to do much acting with a gorgeous dress like this. A beautiful bright green and a low cut back hangs beautifully on her slim figure- perfect for library liaisons. Not exactly a dress for modern times but doesn’t her waist look incredible in this- well, whose waist wouldn’t look slim strapped into a punishing corset with a massive skirt? 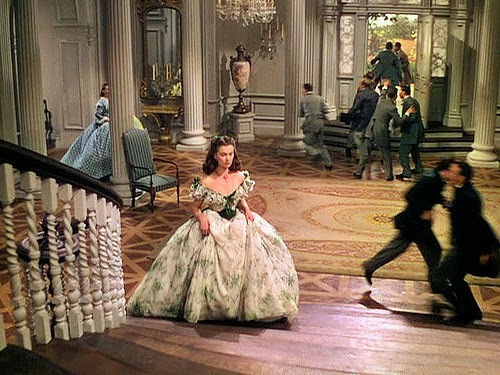 Scarlett O’Hara is definitely the belle of the ball. I had to squeeze a Disney princess in somewhere. This is a purely sentimental choice. It has the advantage of not being a glittery brat dress (sorry Elsa but Anna’s outfits were much cuter), is so sweet and demure and the massive bow, as eighties as it may be, just completes the outfit. 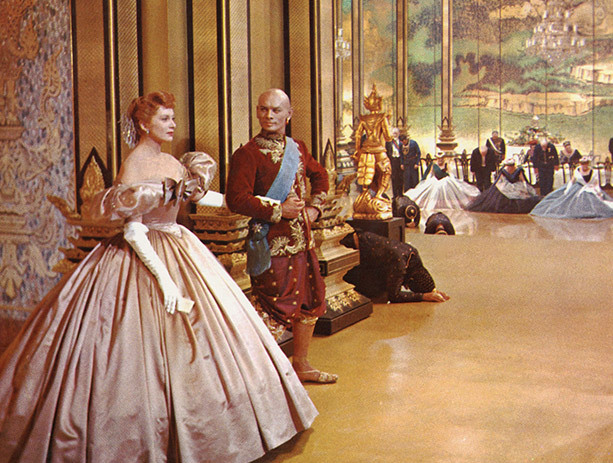 The first dress she wears is a ghastly pink gown which funnily enough is not used for Ariel fancy dress costumes.